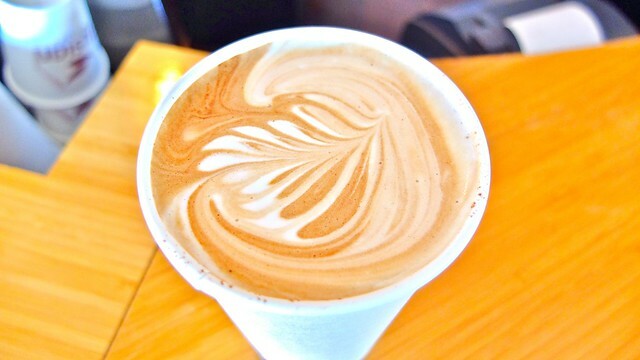 Coffee break at Elysian Coffee on West Broadway on August 31, 2012. I love coffee shops. 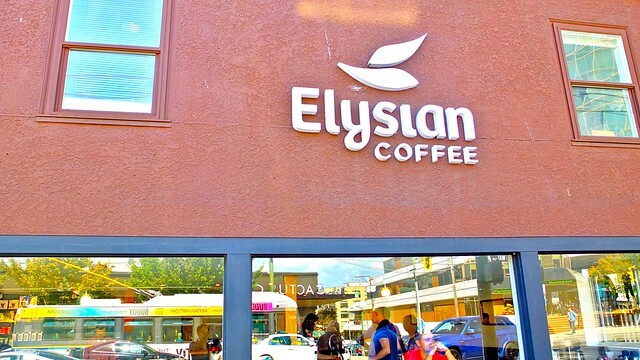 Elysian is an interesting, hip cafe in the Fairview area. It reminds me a lot of Portland with all the prices in increments of 25 cents and the laidback, relaxed feeling with attention to detail taken when it comes to coffee brewing. 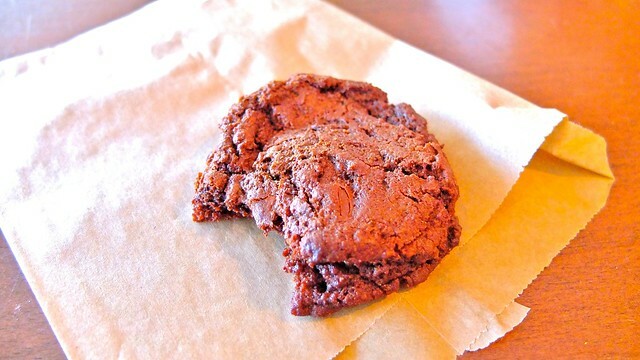 Despite being full from lunch, I was tempted by the delicious looking double chocolate cookie in the bakery window and it did not disappoint. It was moist, sweet, and crisp on the edges. My drink of choice, a cafe mocha, was quite good and one of the better ones I've had in the city (and I've had a lot of them from everywhere). It had a nice balance of coffee and chocolate. Elysian is a cool coffee shop for a brewed beverage and I can see why it gets packed with students studying in the afternoon. 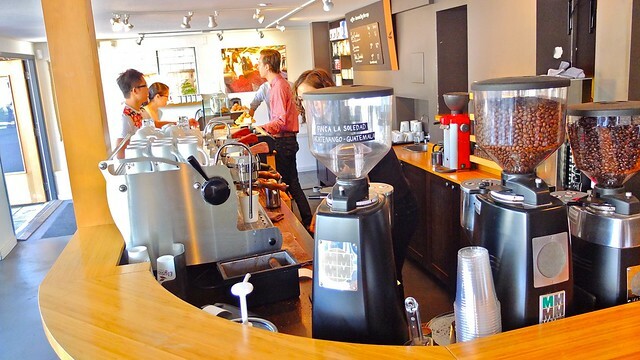 Its clean, open space is very appealing in addition to the quality coffee and snacks. FYI, you can purchase Cuppow lids for turning jars into travel mugs here.